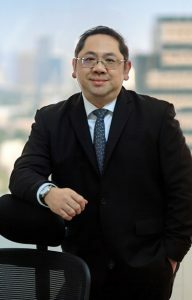 Carlson Wagonlit Travel (CWT) today announced that Duangdej Yuaikwarmdee has been appointed Country Director, CWT Thailand, effective immediately. Reporting to Kai Chan, CWT’s President for Asia Pacific, Yuaikwarmdee will be a member of CWT’s Southeast Asia leadership team. He will be based in Bangkok. As Country Director, Yuaikwarmdee leads the CWT Thailand team and will be responsible for growing CWT’s business in the market. Yuaikwarmdee has strong experience in business management and development, sales, marketing and account management. He has worked with American Express Thailand, US Kall International Corporation and Reed Tradex. Before joining CWT, Yuaikwarmdee was Deputy Managing Director of Reed Tradex Thailand and General Manager of Reed Tradex Vietnam. Yuaikwarmdee is a graduate of Birkbeck College, University of London and Middlesex University UK, and holds Masters Degrees in Organization Behaviour and Management, as well as Marketing Management.